At the Designer Wedding Show in London this February, I met wedding cake designer Anna Tyler. And in a blog post in March, I featured photographs that I took of some of her stunning floral-inspired cakes which were on display at the show. They look even more amazing in real life…and taste delicious! 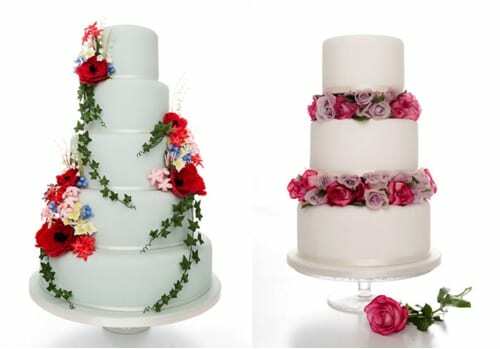 Could you tell us what prompted you to become a wedding cake designer? I’ve always loved baking and anything to do with food from a very young age. Although I trained as a photographer, my real passion was with anything sweet! I then had another order for a wedding from somebody at the previous wedding and that is how it all started! Before I knew it, I had people asking me for cakes before I even had a business. I started my business in June 2009, where after six months I opened my cake kitchen, which is based in Bristol. What different types of cakes do you make? I make a number of different sponge flavours from the more well-known vanilla and raspberry, lemon and chocolate, along with my favourite, carrot cake and red velvet cake. I also love fruit cake, so I came up with a few alternatives rather than your traditional brandy soaked rich fruit cake. My favourite is orange and ginger which consists of the fruit being soaked in Cointreau and ginger wine, with the addition of crystallised ginger and orange zest…a little twist on the traditional fruit cake. 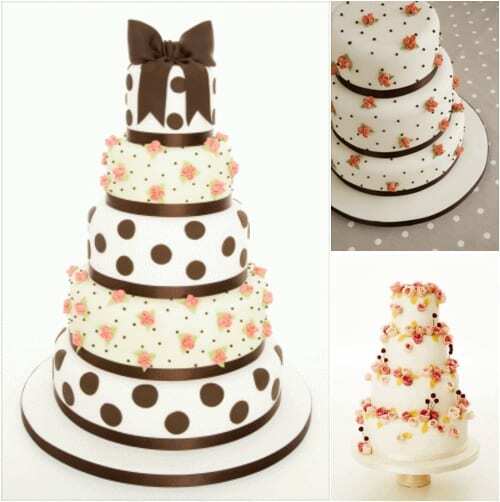 Could you tell us where you get your inspiration for the floral decorations on your cakes? I get a lot of my floral inspiration from flower magazines, especially to get the colours right. However I actually get inspiration from anything! From a teacup to a wallpaper, or the pattern of a carpet! Is one particular cake design the most popular? 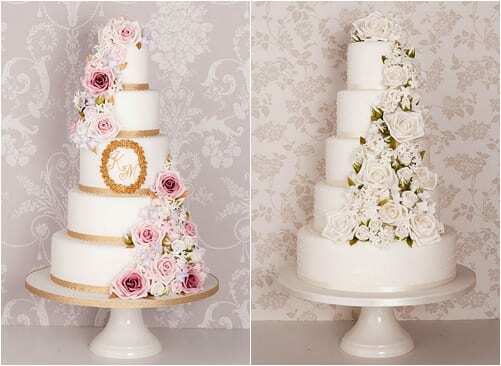 One of my most popular designs is the White Cascade cake (pictured on the right above). Its neutral colours and life-like flowers seem to be real hit! Another is my Oodles of Roses cake (pictured on the far right below). People seem to like this simple white rose covered cake as I’ve created it time and time again! Could you tell us about your cake decorating classes? I wanted to start classes myself because when I was starting out, I couldn’t find anywhere that was teaching the modern sugarcraft that I love. I get a lot of emails from people asking me where I learnt and where I would recommend, which prompted me to start my own. The classes are aimed at beginners and intermediates alike and also people who want to brush up on their skills. 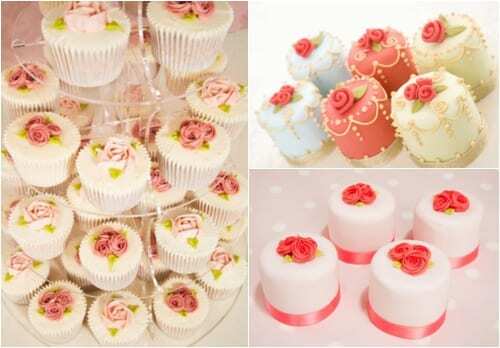 So, there’s everything from a Basic Skills course to Signature Wedding Cake, Roses and Cupcake courses. They’re fun and informal but will also give you the confidence to try your new skills at home. I understand that you won an award recently in Perfect Wedding magazine. Could you tell us more about it? I was entered into the competition under ‘Best Wedding Cake Designer’. I was up against some really great names in the wedding world, however much to my amazement I managed to bag second place. I was totally shocked and massively excited! As mentioned, I’ve just started running my cake decorating classes. So hopefully a great year ahead of teaching, baking and not too much cake eating! If you’d like to keep up-to-date with Anna’s news, she is on Facebook and has a blog. And if you’d like to know more about her recently launched cake decorating classes, simply pop over to her new website.